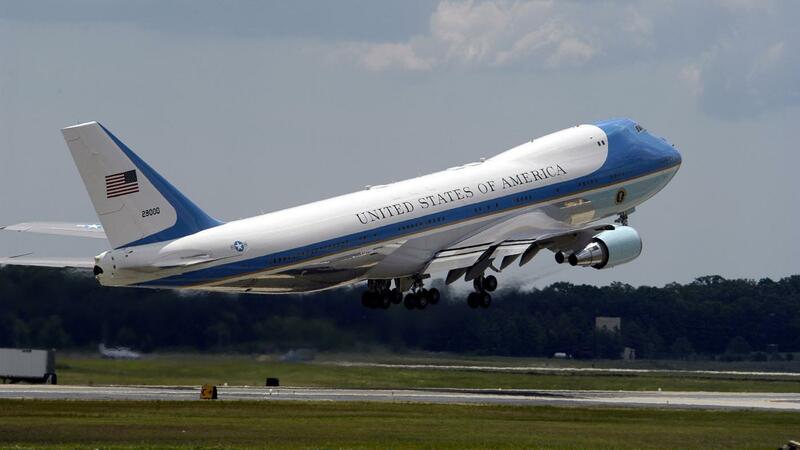 Because the term "Air Force One" is used as the air traffic control call sign of any plane that officially carries the president of the United States, any president that has ever flown on a plane in an official capacity has flown on Air Force One. The first acting president to fly in a plane in an official capacity was Franklin Delano Roosevelt, who used aircraft for presidential travel beginning in the 1930s, though the term "Air Force One" did not come into use until the 1950s, when President Dwight D. Eisenhower was on a flight that used that call sign. So, technically, though President Franklin D. Roosevelt was the first U.S. president to travel by aircraft while president, Eisenhower was the first U.S. president to officially fly on Air Force One. U.S. presidents have used a variety of different aircraft to travel both domestically and internationally. The first plane that a president flew on was an amphibious plane that was converted to have a luxurious interior with sleeping quarters. Modern iterations of Air Force One are typically quite large, with a number of different rooms and communication areas to allow the president to travel with his or her family, staff and security detail. Who Was the First Democratic President? How Did President Coolidge Restore Public Confidence? What Were Some Highlights of Ronald Reagan's Life?